1. 18th Century European bittersweet spirit prized to this day as an herbal panacea. Cousin to vermouth as early botanical medicine. 1. An aromatized, fortified, wormwood infused wine first bottled in Turin in 1786 by Antonio Benedetto Carpano. 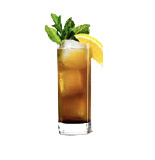 Fill a highball with ice. Add 3/4 oz. each Boyd & Blair Potato Vodka® and BALSAM AMARO®. Top with tonic, garnish with lemon & mint. Fill a fun glass with ice and your favorite red wine. Top with 45ml (1.5 oz.) BALSAM AMARO®. Garnish with a lime. Fill a champagne flute with bubbly. Top with 30ml (1 oz.) chilled BALSAM AMARO® & garnish with an orange peel. Pour 30ml (1 oz.) 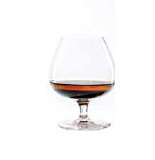 BALSAM AMARO® into a snifter. Float 30ml (1 oz.) of Pisco, Cognac, Brandy or Armagnac. Combine 10ml (1/3 oz.) BALSAM AMARO®, 30 ml (1 oz.) fine wine & 75ml (2.5 oz.) Bourbon. Stir 33 times & strain into a chilled cocktail glass. 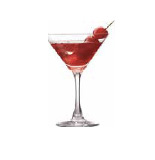 Garnish with a homemade or Luxardo cherry.